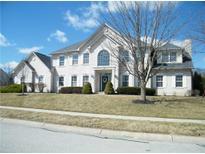 Below you can view all the homes for sale in the Sandstone Knoll subdivision located in Fishers Indiana. 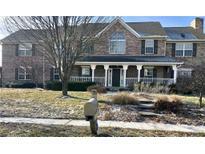 Listings in Sandstone Knoll are updated daily from data we receive from the Indianapolis multiple listing service. To learn more about any of these homes or to receive custom notifications when a new property is listed for sale in Sandstone Knoll, give us a call at 317-427-7201. Main level bedroom and spacious upper level bedrooms and large loft.Spacious main level laundry room with cabinets.Super sized master bedroom suite has a walk-in closet the size of most bedrooms with built-ins for all of your wardrobes and accessories.Finished partial basement and 3 car garage with storage. MLS#21628605. F.C. Tucker Company. 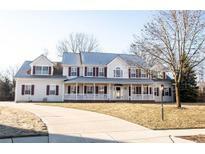 With 4 bedroom and 4.5 Baths plus all of this space you can't miss this home! MLS#21628102. F.C. Tucker Company. bedroom's 2 & 3 share a Jack & Jill bedroom. MLS#21627380. Carpenter, REALTORS®. Don't miss out on this one. MLS#21622411. F.C. Tucker Company. Landscaped backyard has irrigation system, stamped concrete patio and pergola. MLS#21604792. F.C. Tucker Company. Updates Galore: Brand new roof & carpet, freshly refinished hardwoods, fresh interior paint, newly painted deck in backyard; Recent kitchen remodel with granite countertops, backsplash & stainless steel appliances; recent 1/2 bath remodel; Spacious office; Dining room; Bright eating area & Large great room with freshly cleaned gas fireplace; Spacious master suite with freshly cleaned gas fireplace & sitting room with built in bookshelf & desk; Master bath with dual sinks, Seperate tub & shower; Finished basement with wet bar & beverage refrigerator, family room, bedroom & full bath; New A/C 3 years ago; Beautiful backyard w/tree line for privacy, freshly landscaped/mulched; Large 3-car garage w/lots of space for storage! MLS#21601601. Keller Williams Indy Metro NE.